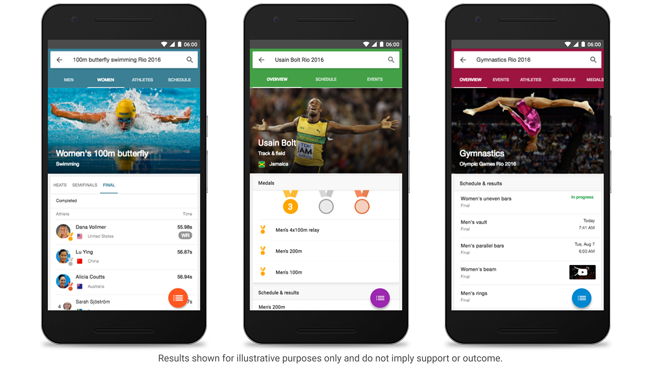 Google is bringing its team of tech offerings to the 2016 Olympics this month in hopes of winning part of the online action. Just in time for the summer games, which officially begin on Friday, Google is sending 15 of its YouTube stars to livestream various parts of the games and other events across host city Rio de Janeiro. Among them will be YouTube stars Liza Koshy, Brodie Smith, Ben Brown, Caeli, Chloe Morello and Felipe Castanhari. Along with the Creators (as YouTube calls its content creators) the online giant is also deploying "Google Trekker" operators to capture 360-degree footage from inside Rio's Olympic Park that will help those who can't make it to Brazil get a street-view look via Google Maps at what it's like on the ground. This year's games are expected to be the most-watched online Olympics ever. In the past year, YouTube users have viewed 23,000 years worth of Olympic athletics, swimming, gymnastics and volleyball footage. According to a blog post today by Google's head of news and sports partnerships for Europe, the Middle East and Africa, Christoph Heimes, nearly two-thirds of that viewing has been on mobile devices.